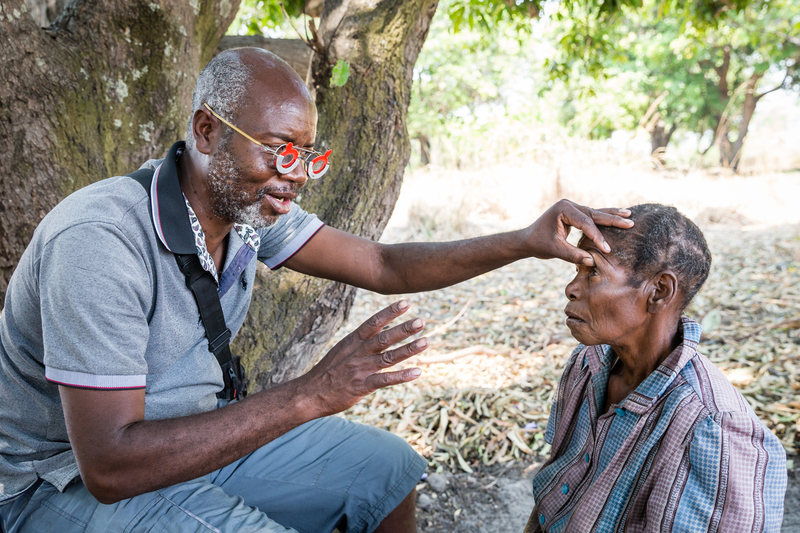 Eye surgeon Bruno Kandei explains the procedure for halting blinding trachoma to Sibeso Simate, 72, a patient in western Zambia. Every year African Heads of State review progress in the fight against NTDs at the African Leaders’ Malaria Alliance forum. They rely on the World Health Organization’s (WHO) statistics. The endemic countries provide data which the WHO uses to calculate how well individual states are doing in the fight against the five most common NTDs – bilharzia, blinding trachoma, intestinal worms, elephantiasis and river blindness. The number of people who need treatment for these five NTDs is compared with the number who receive treatment. This gives the ‘coverage’ of each disease. This coverage is then averaged out using a statistical tool called ‘the geometric mean’, which gives an overall picture of how well countries are delivering an integrated programme of treatments for all the diseases. The average coverage figures generate the placings in the league table; countries with the highest coverage are ranked in the top positions.